Warren Tech post-secondary Cosmetology graduate Tony De Bernard recently visited Tech's High School Cosmetology program to demonstrate barbering techniques and to introduce students to the barbering profession. 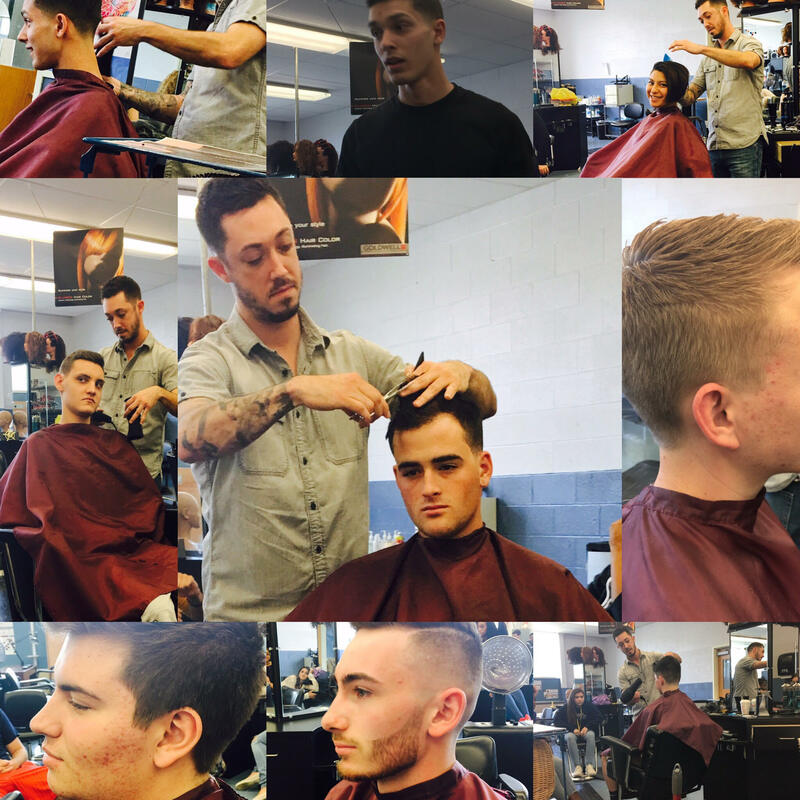 Students gained insight on how obtaining a cosmetology hair styling license through Warren Tech's high school and adult school programs can prepare them for careers in barbering. De Bernard, a 2011 graduate of Tech's Post Secondary program, demonstrated clipper cuts, fade shaving techniques, and even short tapered women cuts. Warren Tech’s secondary and post-secondary cosmetology programs are licensing programs in cosmetology, including barbering. After graduating Warren Tech, De Bernard became a full time barber with his cosmetology hair styling license and now works at A Cut Above in Sparta, NJ and plans on opening his own barber shop in Blairstown.